Nashville, TN – Tennessee Governor Bill Haslam and the Tennessee Department of Tourist Development Commissioner Kevin Triplett announced that Tennessee tourism’s direct domestic and international travel expenditures reached a new all-time record high of $20.7 billion in 2017, up 6.3 percent over the previous year, as reported by the U.S. Travel Association. The announcement was made at the Musicians Hall of Fame and Museum. The economic impact of domestic travel in Henry County was $57.26 million with $7.35 million generated in local tax receipts. All 95 counties enjoyed an increase in tourism expenditures. 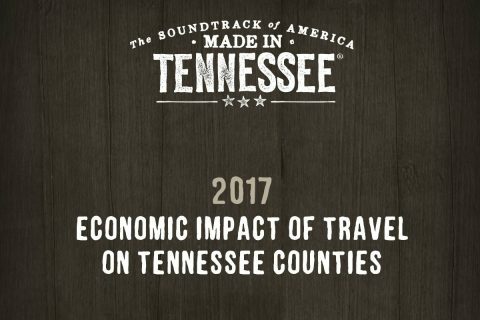 Each county saw more than $1 million in direct travel expenditures in the economic impact of tourism. Five counties exceeded one billion in travel expenditures, including Davidson ($6.505 billion), Shelby ($3.503 billion), Sevier ($2.276 billion), Hamilton ($1.112 billion), and Knox ($1.097 billion). 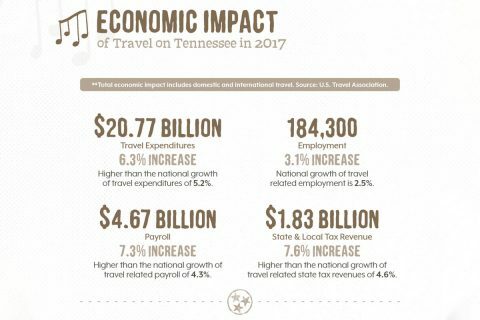 “The growth of the tourism industry and its economic impact comes from guests discovering the world-class food, history and culture, scenic beauty and outdoors and experiences that make Tennessee ‘The Soundtrack of America.’” Commissioner Kevin Triplett said. “The authenticity and Southern hospitality from our communities and partners gives visitors an unbeatable experience and inspires them to return. The numbers show Tennessee is a destination of choice for visitors around the world. However, we would not have these numbers if not for the capital investments, renovations and dedication made by tourism partners across the state to deliver great experiences that create wonderful memories,” stated Triplett. [320left]A record 113.6 million person stays also were recorded in 2017, according to U.S. Travel. Those numbers place Tennessee among the Top 10 travel destinations in the nation for the fourth consecutive year. Tennessee is also considered a top retirement destination. The Tennessee Department of Tourist Development works with local convention and visitors’ bureaus, chambers of commerce and city and county leaders in all 95 counties to draw and welcome people to the state. The Tennessee Tourism Committee, chaired by Colin Reed of Ryman Hospitality Properties, Inc. formed in 2011. 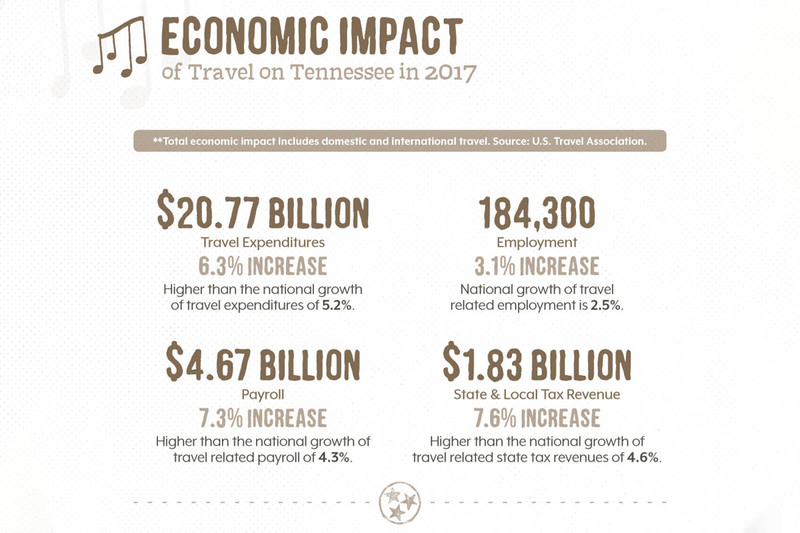 Governor Haslam appointed the Tennessee tourism committee, made up of tourism leaders in both the public and private sectors to help bring travelers to Tennessee. Explore more at tnvacation.com and join other Tennessee travelers by following “TNVacation” on Facebook, Twitter, Pinterest, Instagram and YouTube, and “Tennessee” on Snapchat.